Providing a maximum airflow from 300-1150m3/h, the HepaClean 1100 is ideal for air cleaning during small jobs. The HepaClean 1100 is designed for construction, renovation or restoration work and ventilation cleaning. This machines is known to be a long lasting, highly efficient, and easy to use. The HepaClean 1100 is specifically designed for handling hazardous materials such as, asbestos, quartz, hardwood, mineral wool, microorganisms, mold, fungus spores and other materials. This machine is also portable and quiet allowing it to be used in small or cramped spaces. The machines, equipped with powerful fans and durable Hepa filters, achieve high efficiency ratios. The motors can withstand pressure drags, and thus the useful life of the filters increases without the machine losing the required negative pressure. Air handling pipes can be joined by means of various adapters. Lifa negative air machines can also be connected parallel to double the capacity. 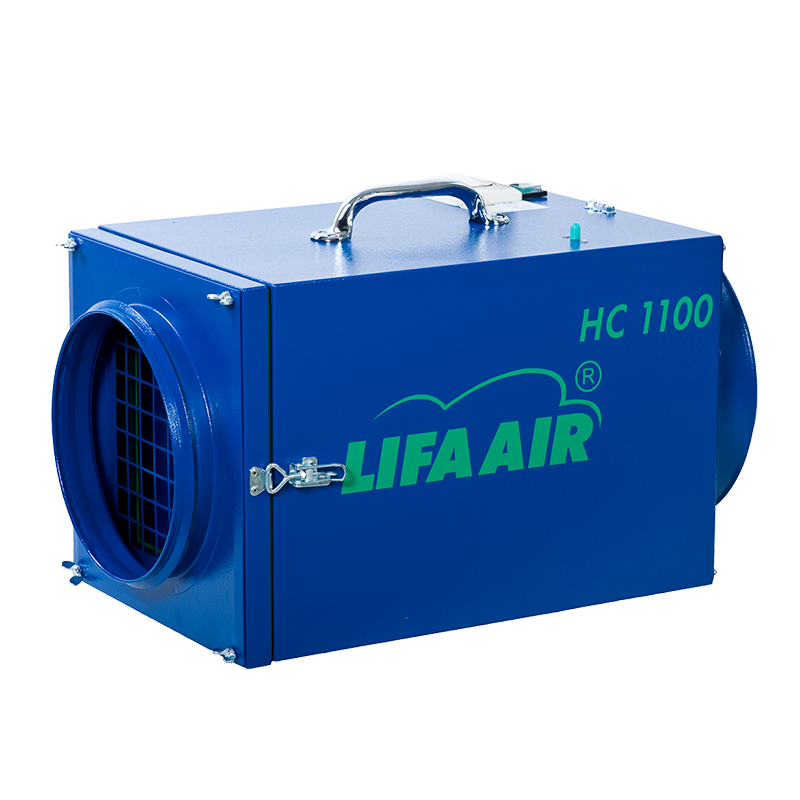 All Lifa Air machines can be equipped with optional Hepa filters. The machines, equipped with powerful fans and durable Hepa filters, achieve high efficiency ratios. The motors can withstand pressure drags, and thus the useful life of the filters increases without the machine losing the required negative pressure. Air handling pipes can be joined by means of various adapters. Lifa negative air machines can also be connected parallel to double the capacity. All Lifa machines can be equipped with optional Hepa filters.